Welcome back slicers! We’ve had a few days off now that the March challenge is complete. 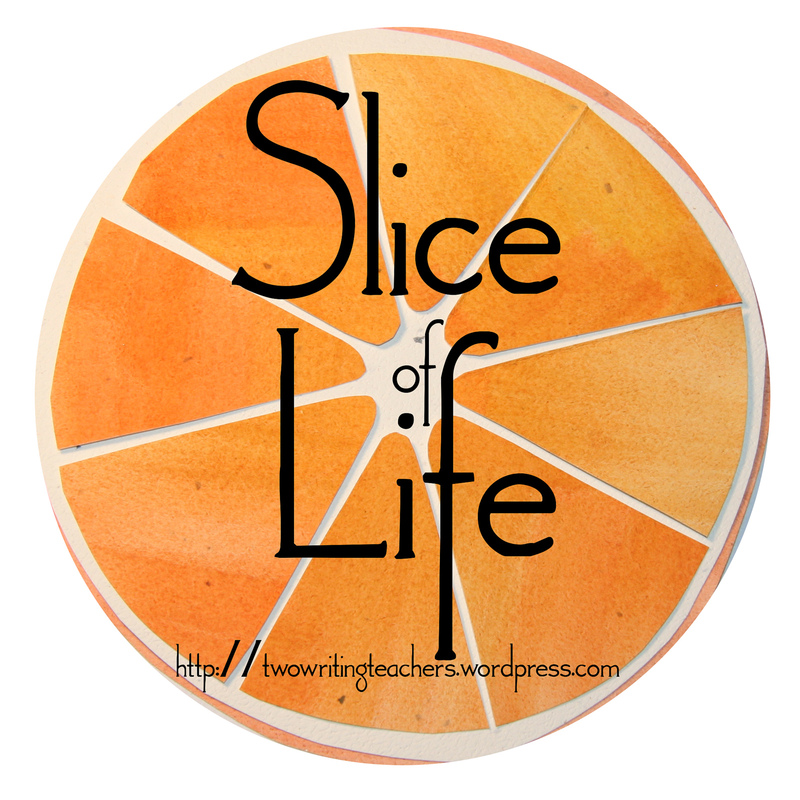 I hope you feel refreshed and ready to share a slice of life story with our community. I wanted to share one slicers reflection after finishing the challenge. Molly Kirk was new to slicing this March. Read her final post from the challenge where she shares the impact SOLSC has had on her writing life. A trip to visit the troll under the brige. The countdown to PARCC, ugh! A slice about the wonders and woes of Memory. A new teaching idea–Who would sign my petition? Fun to start another year of Tuesday slicing! Had a bit of running around to do today. My physical therapist betrayed me. She brought a cheese spreader? March SOL has inspired me to write daily once more. Saturday date night at the bookstore (with three very special dates)! Beauty on a rainy day. I love when one person’s slice leads me to one of my own. Thanks Julieanne for making me think about my own corner of the world. This is a slice about having a moment of peace. How do you make the scared go away? After the March challenge I’m jumping on board the Tuesday SOL! Today I am finding jewels and changing my perspective! We have finished another project in our home. My first Tuesday SOL after participating in the Monthly challenge. Talking about a return to normal life. It’s Tuesday! Feels good to be back with you all. I received a fabulous birthday glitter gift from my friend and fellow slicer, Chris. You need one too! A reflection about my first day back after Spring Break. The best part about waiting in a line is that everyone is excited about the same thing- especially when it is for bagels! I revised my Saturday Celebration post to add more images and more of the story. Good to be back to the community on Tuesdays. I have missed everyone. Some thoughts on friendship. Today, we celebrate my grandfather, who is 89 years young. I discovered a poem when I looked around. Do you remember Robert Hall stores? Continuing on this quest to give poetry a go! Many thanks to my friend and fellow Slicer Barbara Suter for a rich workshop on poetry & ENL students that inspired a poem! Are you listening, Mother Nature? It’s me, Kevin. Good morning! April is here! My first Tuesday post. Wants vs. needs. Looking forward to seeing the red dot! Reflecting on some REALLY powerful PD. What made it so powerful?